OAR PSNT - Vocations: Who are you? First of all, I shall explain for you the name we bear: we are called “Augustinians” because as father and inspiration for our form of life and spirituality we have St Augustine; we are called “Recollects” because we came into being within the Order of St Augustine as a collective movement of renewal – recollection- in the 16th Century, in 1588. The movement sought to live with greater intensity the values of interiority, community, and austerity within a simplicity of life in which everyone should have the same rights and obligations. These values were also shared by other movements that received the general name of “recollection”. 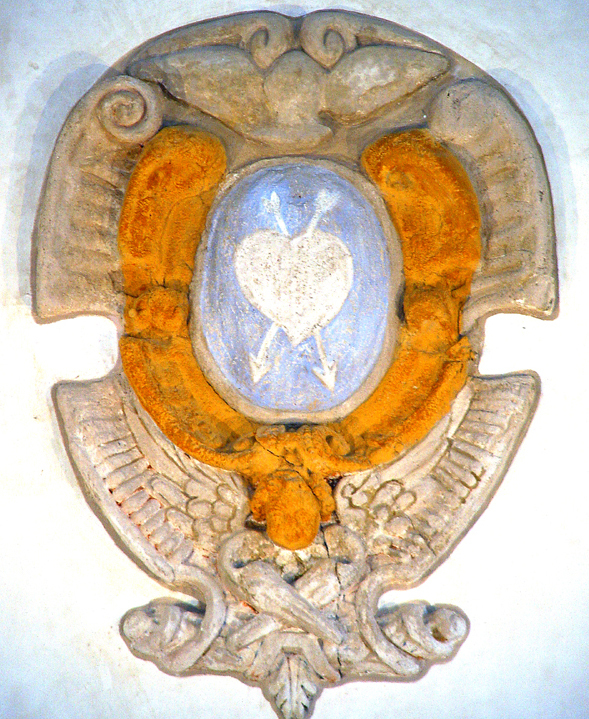 The oldest shield of the Order, still there on the former monastery of Talavera de la Reina (Toledo, Spain), the first monastery of our Order. Now that you know the reason for our name, I shall tell you that the Augustinian Recollects today are a group of Christians who have decided to give our lives in the service of the Gospel, a family within the Catholic Church. Within the Church there is a diversity of vocations and charisms. Every Christian ought to reflect on his or her path through life in following Jesus of Nazareth and finding happiness. Each Augustinian Recollect, at a particular moment in his life, decided to follow the life and spirituality of St Augustine as guide, and accept the Rule of Life written by Augustine 1,600 years ago, as well as the Forma de Vivir edited by the friar Luis de León in 1589. In seeking to be faithful to our specific call, the Augustinian Recollects in addition live in community, observing chastity, poverty, and obedience, out of the values of fraternity and the interior life. We certainly know that this all sounds very strange, but you will see that it’s not something from another world, neither is it just for superheroes or people who are out of the ordinary. The secret is trusting in God, putting on his glasses to see the world in a different way.